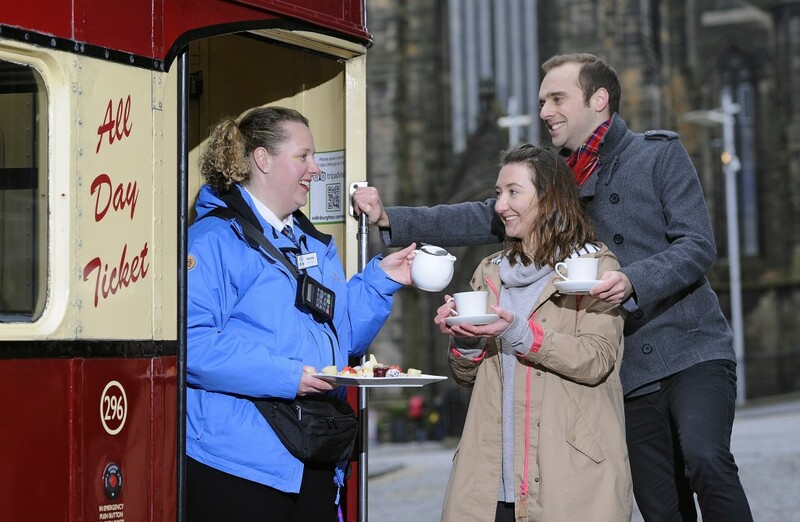 Welcoming back the MacTours City Tour with its iconic Routemaster buses for the summer season, Edinburgh Bus Tours is giving visitors the chance to experience not only the best views from the top deck, but the best tea, cakes and sweet treats the Capital has to offer. Visitors can enjoy a set of exclusive offers on Afternoon Tea experiences when they hop-off with their MacTours City Tour ticket. Available until the 29 October, visitors can save up to 25% at five venues across the city, including Café Hub on Castlehill, The Royal Exchange Coffee House at The Real Mary King’s Close and new venue, The Printing Press. Kenny Campbell, Tour Operations Manager at Edinburgh Bus Tours, said: “In recent years, Edinburgh has gained a reputation for offering some of the country’s best foodie experiences. We are always looking to give our visitors more reasons to hop-off our tours to enjoy the very best of Edinburgh before hopping back on and continuing their sightseeing. Tours are available every 30 minutes from 25 March until 29 October, with frequency increasing to every 20 minutes between 2 July and 29 August. MacTours tickets cost £15 for adults and £7.50 for children, with family tickets from £36 for two adults and up to three children. Hop on – hop off tickets are valid for 24 hours and visitors can see more for less with Grand and Royal tickets. Since 2011 Edinburgh Bus Tours has been rated five-stars by VisitScotland’s Quality Assurance Scheme, the highest possible accolade. Edinburgh Bus Tours is Scotland’s third most popular visitor attraction welcoming over 500,000 visitors on board each year. While the MacTours City Tour and Edinburgh Tour offer live commentary by the company’s expert guides, multi-lingual audio commentary in up to 10 different languages is available on board City Sightseeing, Majestic Tour and The Forth Bridges Bus & Boat Tour.